https://www.painfulpleasures.com/spiral-natural-horn-tunnel-eyelet-body-jewelry-12g-1-2-price-per-1.html?___store=1 3003 Natural Horn Spiral Plug Body Jewelry - 12g to 1/2" - Price Per 1 https://cdnstoremedia.painfulpleasures.com/media/catalog/product/o/r/org029.jpg 7.49 7.49 USD InStock /Body Jewelry/Earrings /Body Jewelry/Organic Body Jewelry /Body Jewelry/Organic Body Jewelry/Elementals Organic Horn Jewelry Collection /Body Jewelry/Organic Body Jewelry/Elementals Organic Horn Jewelry Collection/Large Gauge Horn Earrings /Body Jewelry/Organic Body Jewelry/Elementals Organic Horn Jewelry Collection/Swirl & Spiral Horn Jewelry /Body Jewelry/Ear Hangers /Body Jewelry/Ear Hangers/Horn Hangers /Body Jewelry/Earrings/Large Gauge Earrings /Body Jewelry/Earrings/Hoop Earrings /Body Jewelry/Organic Body Jewelry/Elementals Organic Earrings Collection /Body Jewelry/Organic Body Jewelry/Elementals Organic Earrings Collection/Organic Large Gauge Earrings Natural Horn Body Jewelry by Elementals Organics - Horn Spiral Plug This classic spiral body jewelry is carved from natural bone from Indonesia. The material is lightweight and comfortable to wear in healed stretched piercings. The Natural Horn Spiral Plug is available from 12g (2mm) up to 1/2" (13mm) and priced per one. Please check out for Quantity 2 for a pair. 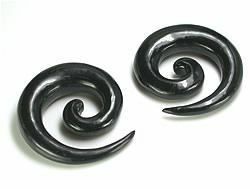 Specifications: Material: Horn Available Sizes: 12g to 1/2" (2mm to 13mm) Overall size increases slightly with gauge Made in Indonesia Price per one spiral Please Note: Organic jewelry may vary slightly from each other in color and size due to being made from natural materials. We do our best to match up the two most similar plugs when a quantity of 2 or more is ordered. Organic materials are not meant to be worn in fresh piercings and should not be exposed to water, sunlight, or extreme temperatures for an extended period of time. To care for your wood jewelry, use a damp cloth and then dry. Jojoba oil or tea tree oil may also be used. Do not soak your wood jewelry as it will cause it to swell. 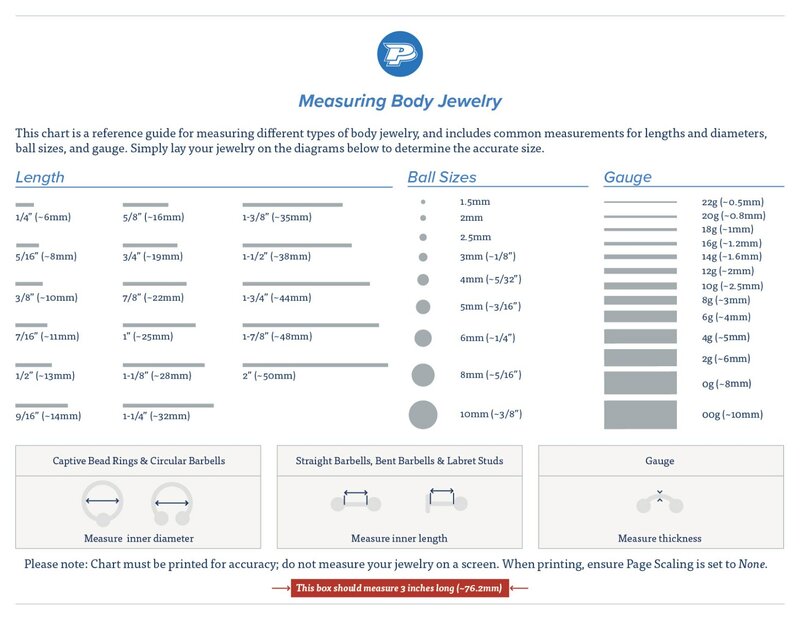 More information on how to care for your organic jewelry can be found here. USD 3004 Natural Horn Spiral Plug Body Jewelry - Price Per 1 - Price Per 1 - 11mm ~ 7/16" 8.54 8.54 https://cdnstoremedia.painfulpleasures.com/media/catalog/product/o/r/org029.jpg InStock 11mm ~ 7/16" 3005 Natural Horn Spiral Plug Body Jewelry - Price Per 1 - Price Per 1 - 3mm ~ 8g 7.49 7.49 https://cdnstoremedia.painfulpleasures.com/media/catalog/product/o/r/org029.jpg InStock 3mm ~ 8g 3006 Natural Horn Spiral Plug Body Jewelry - Price Per 1 - 2mm ~ 12g 7.49 7.49 https://cdnstoremedia.painfulpleasures.com/media/catalog/product/o/r/org029.jpg InStock 2mm ~ 12g 3007 Natural Horn Spiral Plug Body Jewelry - Price Per 1 - Price Per 1 - 8mm ~ 0g 8.14 8.14 https://cdnstoremedia.painfulpleasures.com/media/catalog/product/o/r/org029.jpg InStock 8mm ~ 0g 3008 Natural Horn Spiral Plug Body Jewelry - Price Per 1 - Price Per 1 - 10mm ~ 00g 8.34 8.34 https://cdnstoremedia.painfulpleasures.com/media/catalog/product/o/r/org029.jpg InStock 10mm ~ 00g 3009 Natural Horn Spiral Plug Body Jewelry - Price Per 1 - Price Per 1 - 5mm ~ 4g 7.74 7.74 https://cdnstoremedia.painfulpleasures.com/media/catalog/product/o/r/org029.jpg InStock 5mm ~ 4g 3010 Natural Horn Spiral Plug Body Jewelry - Price Per 1 - Price Per 1 - 6mm ~ 2g 7.94 7.94 https://cdnstoremedia.painfulpleasures.com/media/catalog/product/o/r/org029.jpg InStock 6mm ~ 2g 3011 Natural Horn Spiral Plug Body Jewelry - Price Per 1 - Price Per 1 - 4mm ~ 6g 7.49 7.49 https://cdnstoremedia.painfulpleasures.com/media/catalog/product/o/r/org029.jpg InStock 4mm ~ 6g 3012 Natural Horn Spiral Plug Body Jewelry - Price Per 1 - Price Per 1 - 13mm ~ 1/2" 8.74 8.74 https://cdnstoremedia.painfulpleasures.com/media/catalog/product/o/r/org029.jpg InStock 13mm ~ 1/2"